This is a less intense program to help build your base, keep up your consistency and maintain fitness. Weekly group run workouts can be used to train for anything from a 5K to the marathon. Schedules will include Half Marathon and full marathon training suggestions, along with specifics for Boston 2019 for those who want to keep their competitive juices flowing. There will be two official group trips for Spring; Eugene Marathon & Half and Revel Mt Charleston & Half. *(Participants must secure their own race entires). Detail of the trip will be provided after the program starts. PLEASE NOTE - Training locations vary every week. Details will be included in a weekly email with information about the upcoming week. Weekly locations are also available on our mobile app and members area of our website. Click on the your preferred location header for typical meet up locations. Choose a pace group which is closest to your realistic goal race pace. Each pace group is assigned an experienced and friendly coach to help guide you through workouts, offer advice and motivation. Coaches are also available via email for additional questions and help. *Training schedules continue after March into Spring Program. The official spring 2019 group trip is to the Eugene marathon and Half on April 28th. (We may also organize a second group trip, based on demand, to Revel Mt Charleston Marathon and Half). Participants are responsible for race registration. There will also be group meet ups for the Platte River Half in April, the Colorado Marathon & Half in May. *Not applicable to Online Only Training. Get $40 off for each new members referral. 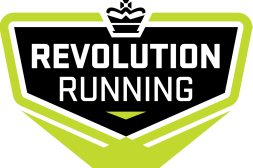 15% off at many local running stores, including: Runners Roost and Go Far. nuun Hydration at long run aid stations. Great group support with a fun and social atmosphere.